These perky little songbirds are sure to make you smile. How do you attract hummingbirds naturally? Planting bushes, shrubs and vines give hummingbirds a natural area to feed, and you will have the added pleasure of knowing you created something beautiful. Acanthus is a tropical-looking flower that does best in moderate temperatures. They are a mid-sized clumping plant that typically has light colored flowers. 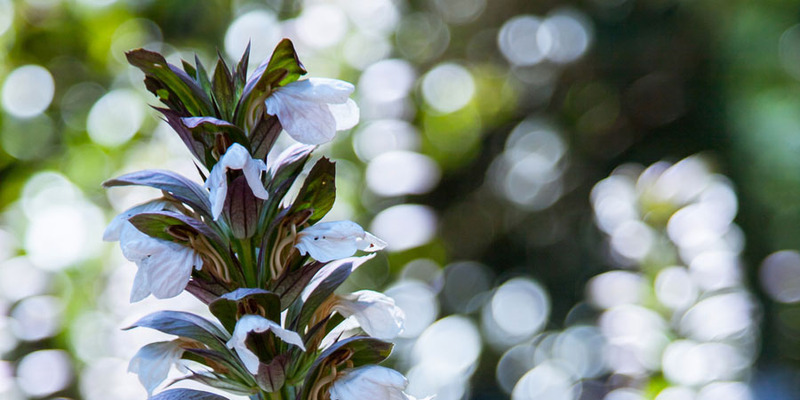 Acanthus plants bloom in late spring to mid-summer on tall stalks, with leaves that add interest to any garden. Azaleas are actually part of the Rhododendron family of plants. These mid-sized bushes typically grow anywhere from 3' to 6' tall. 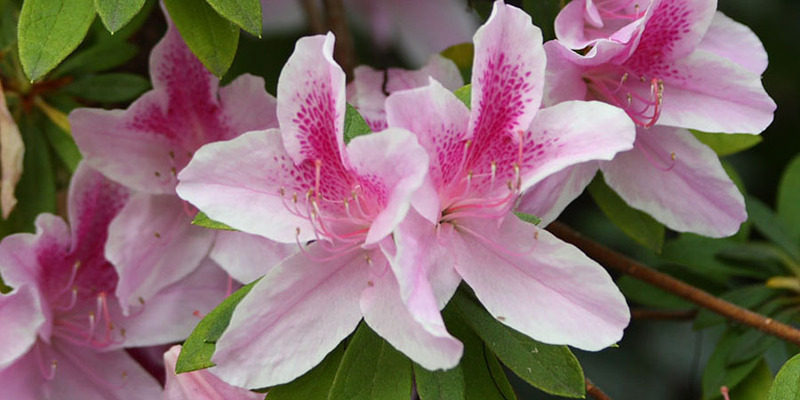 Most azalea plants prefer partial shade or filtered sun, so choose your location thoughtfully and you can enjoy the funnel-shaped blooms for weeks during late spring and early summer. Butterfly Bushes can be purchased in small, medium or large varieties. Named for their nectar-rich flowers that attract butterflies and hummingbirds, these plants have fragrant flowers that love the sun. The larger plants can grow up to 8 feet tall and wide, and, since they are non-native, can become invasive. 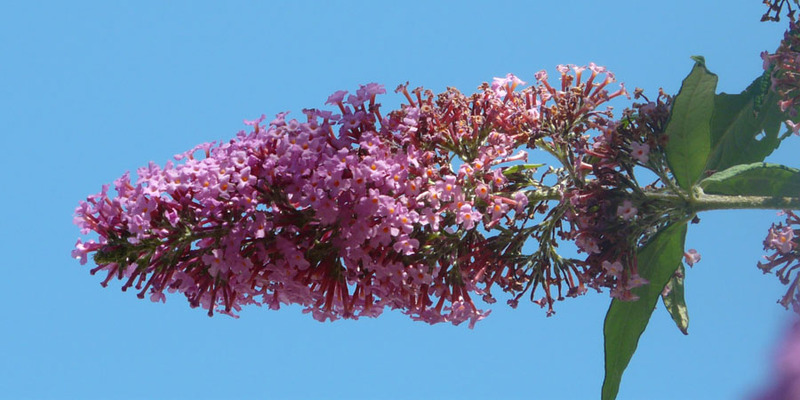 Oregon restricts the purchase of butterfly bushes to specially-grown plants, so check local nurseries when you are ready to buy. Crab Apple Trees have a lot going for them. They have colorful foliage that changes color as the seasons change, perfect little flowers that hummingbirds love and then berries to help feed birds that keep up a winter residence in your area. 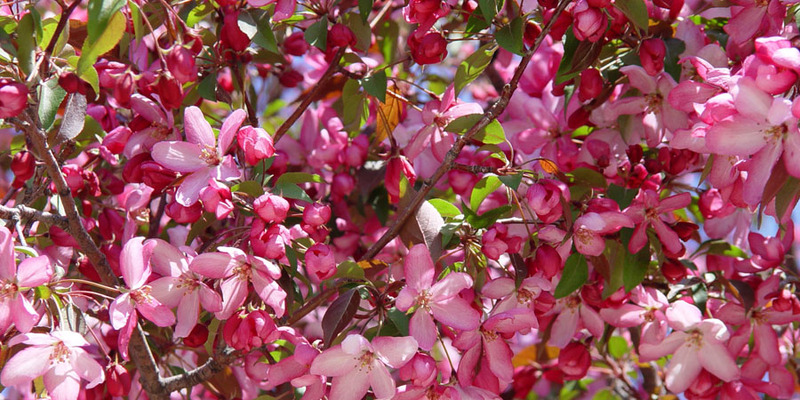 Grown most successfully in sunny areas, these trees are a great addition to a bird-lover's yard. 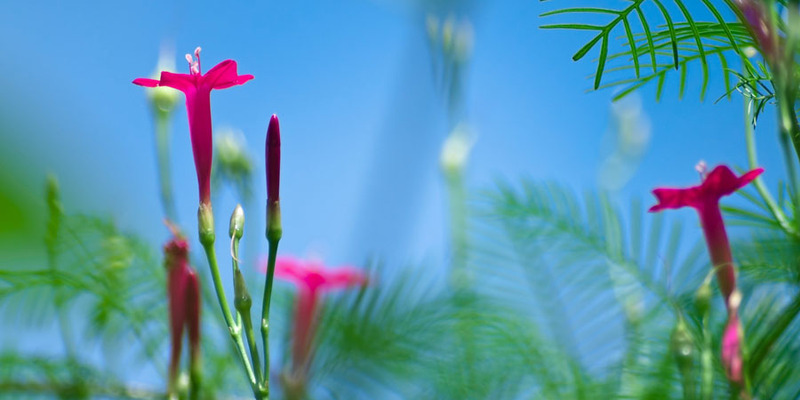 Cypress Vines are actually fast-growing annuals that can reach 10' – 15' high by year-end. With dead-heading, these plants will give you hundreds of start-shaped flowers from summer to fall. Vines grow best in full sun and moist soil, and need some structural support for the vines as the plant grows. 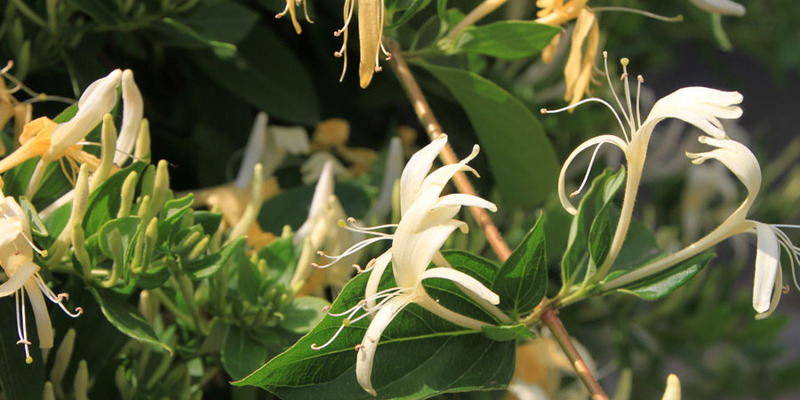 Honeysuckle plants are durable and grow well in many moderate-weather areas. Their beautiful foliage is just the beginning. The flowers will bloom for weeks at a time, and then the hummingbird-favored flowers give way to berries that help feed your winter birds. Overall, a great plant to have in a sunny part of your yard. 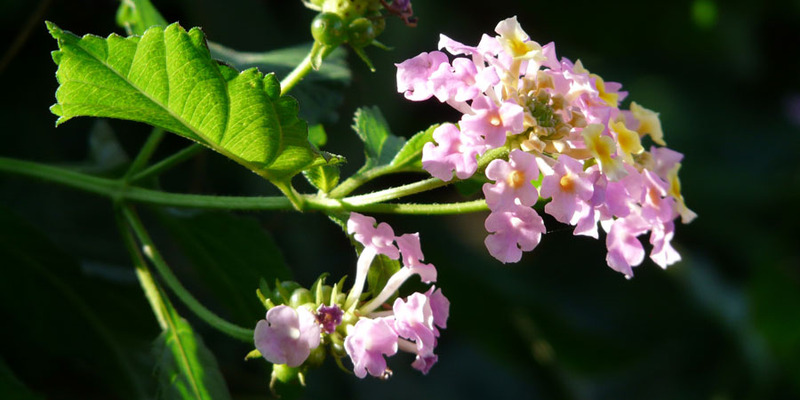 Depending on the plant, lantana is either a small bush or a larger shrub. With large clusters of flowers that lasts for weeks (and sometimes months), lantana is popular with butterflies and hummingbirds. Since lantana plants vary significantly, make sure any plants you buy are hardy in your Zone. Morning Glories are annuals that can grow up to 15' each year. These beautiful, soft-colored flowers bloom from summer until the first cold spell hits, and are a hummingbird favorite. 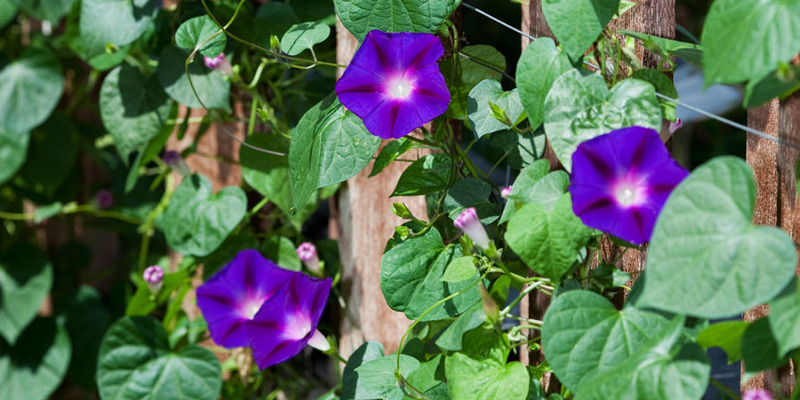 Morning glories do best in full sun with a trellis on which to climb, and since they grow quickly – you'll want to have the trellis ready and waiting. 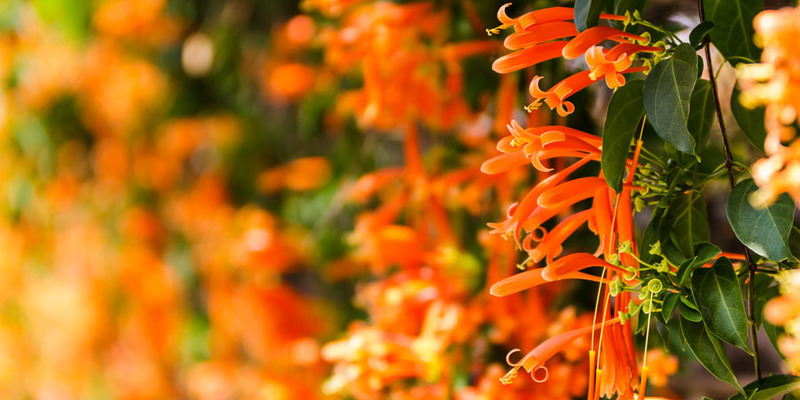 Firecracker Plant is aptly named, with bright orange or red flowers that bear a striking resemblance to firecrackers. The bright colors and tubular flowers are sure to attract hummingbirds. A perennial plant that can bloom from spring to fall in full sun, it will tolerate partial shade. However, the firecracker plant does have one drawback. Although beautiful, they are poisonous so be thoughtful where you put this plant. 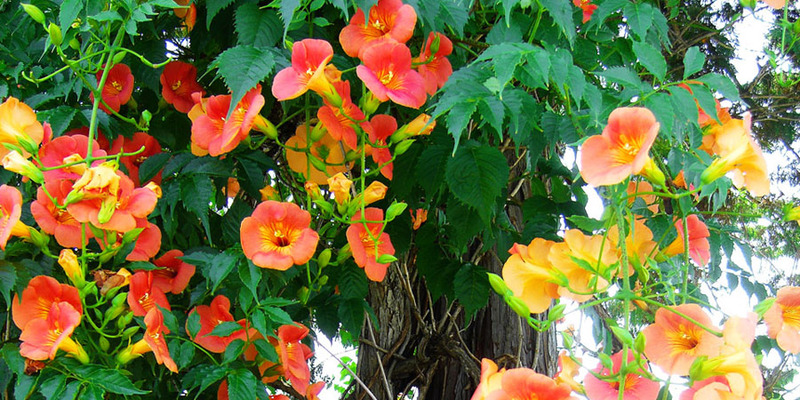 Trumpet Creeper has flowers that are bright yellow to bright red in color, and attract hummingbirds to the long vines that stretch 25' to 40' across your fence or trellis. These plants can quickly spread throughout your yard, so plant them somewhere you'd like them to naturalize or make sure to remove the pods before they can re-seed. 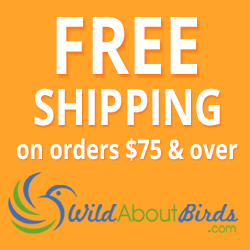 They are a stunning statement plant that is sure to attract hummingbirds. If you aren't sure what USDA hardiness zone you live in, check out this map. 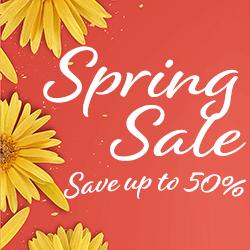 No matter where you live and how long the flowering season of your vines and bushes, you might still want to add a couple of hummingbird feeders to your yard. Hummingbird feeders are another source of nectar for your active little hummingbirds. Photo Credit: Butterfly Bush and Lantana by Hans, Acanthus by zestmarina via Depositphotos.com, Azaleas by andrew schmidt, Crab Apple Tree by SueKrebs, Cypress Vines by Exsodus via Depositphotos.com, Honeysuckle by byrev, Morning Glories by songbird839, Firecracker Plant by amnachphoto via Depositphotos.com, Trumpet Creeper by tonny watanebe.